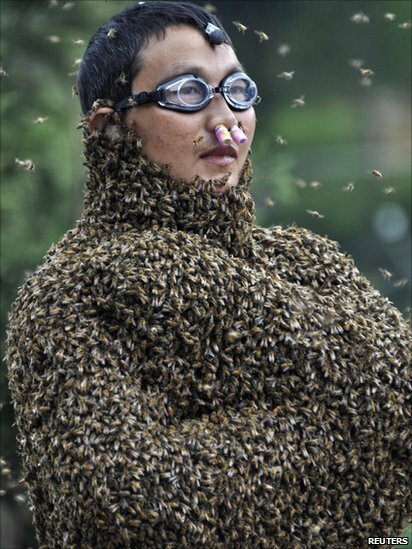 A"bee-attracting" competition in China's Hunan province pitted two fearless bee keepers, Lu Kongjiang (above) and Wang Dalin against one another. 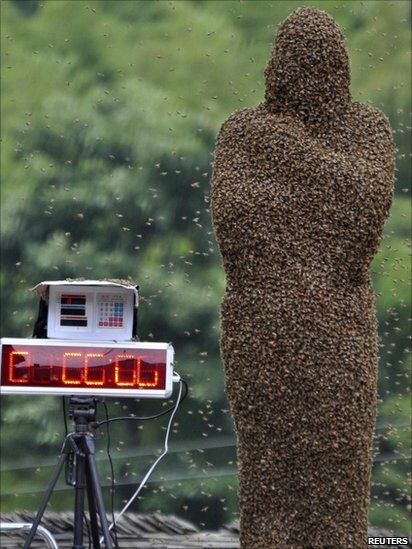 Wearing only a pair of shorts and with a queen bee they reared to attract the swarms, the competitors stood on a weighing scale so the judges could determine who attracted more bees. 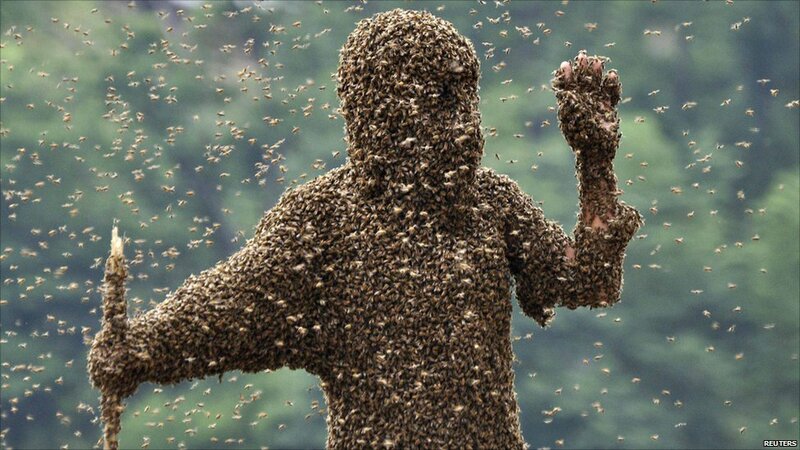 The Guinness Book of Records has a category for "most pounds of bees worn on the body," reportedly held by US animal trainer Mark Biancaniello who attracted 39.5 kilos (87lb) of bees onto his body. 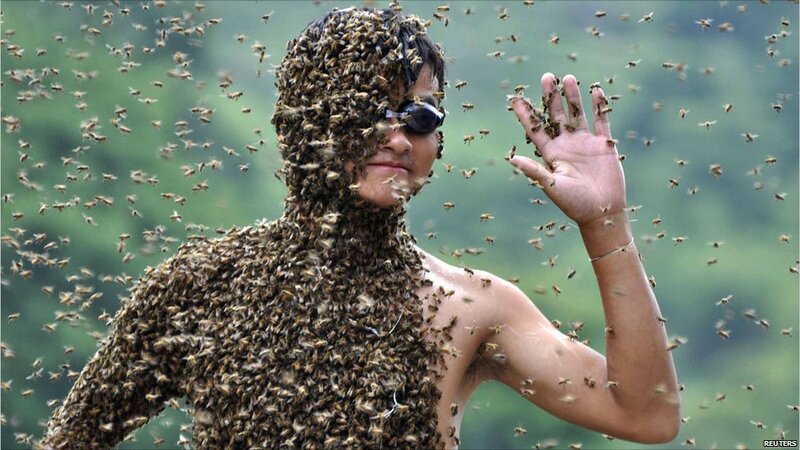 Mr Wang (above) won the competition after he attracted 26 kg (57lb) of bees onto his body in 60 minutes. His opponent was engulfed by a mere 22.9 kg (50lb), local media reported.